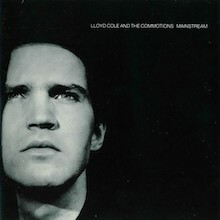 With breaking news that Lloyd Cole and the Commotions – Collected Recordings 1983-1989 is about to appear it’s high time we ventured towards discovery of this fine band and the man whose name is synonymous with classy and classic British pop song writing, singing and performance. The career spanning back to the vaults 5 CDs and 1 DVD is available via the Universal Music Catalogue: It features the band’s three studio albums, Rattlesnakes, Easy Pieces and Mainstream, as well as B-sides, rarities and outtakes and the band’s television appearances and promotional videos. Disc 5 will be of particular interest to Lloyd lovers since it contains many never before heard cuts like “Poons”, “Old Hats”, “You Win” and “Another Dry Day” (there are more), some rare Paris sessions produced by Chris Thomas, plus plenty of choice demos like “Eat My Words, “Jennifer She Said” and “Hey Rusty.” A budget item devised in tandem with Lloyd is also out. This is Don’t Look Back: An Introduction to Lloyd Cole and the Commotions, a 20-track single disc that offers most of the hits and retails at under a fiver! Fantastic value and a logical point of entry for newcomers or a chance to update for committed Commotions cats. Obviously with Lloyd and company back in the news we’d like to return to the originals, where they came in. It doesn’t seem feasible that this adventure took off over thirty years ago with a flurry of top ten, Gold certified UK albums for the band and four solo albums on Polydor. Not forgetting Lloyd’s 2000 release either, The Negatives, recorded in New York with musicians including Jill Sobule (check out her Brad Jones produced work for some astounding power pop) and Dave Derby (ex-Dambusters). More recently Lloyd has been creating electronic sounds with Hans-Joachim Roedilius. Born in Derbyshire, 1961, Lloyd formed the Commotions with University of Glasgow friends and acquaintances Blair Cowan, Lawrence Donegan, Neil Clark and Stephen Irvine. Their manager Derek McKillop was like a sixth band member. After graduating the band signed to Polydor and wowed from the off with the Bob Dylan inspired single “Perfect Skin” and the follow-up “Forest Fire”, both penned at Glasgow Golf Club, where Lloyd’s father was club master (the younger Cole is an avid and gifted player himself). Working with producer Paul Hardiman LC and his Commotions specialised in poetically constructed love songs that made a virtue out of romance, rejection and all the ardent tropes. Finishing the debut album Rattlesnakes in under a month and enjoying the east End locale where they were recorded, the quintet made a ten-song masterpiece with timeless appeal. The Cars Ric Ocasek remixed some of the album while Anne Dudley provided string arrangements. This prestigious album is now available as a 2-CD Deluxe Edition with the four bonus cuts from the first CD plus 14 additional tracks – demos, concert and BBC Radio 1 Sessions, including their cracking version of Television’s “Glory”. The literate and melodic approach that worked so well was given even more of a warm and luscious coating on Easy Pieces (1985). This time Clive Langer and Alan Winstanley were at the console. The band and their critics were less convinced that the end results were those envisaged during rehearsals but within the sound you will detect some fine hooks and plenty of sustained lyricism on “Why I Love Country Music” and “Brand New Friend.” It is no disaster. The band’s third and final album is Mainstream. Ian Stanley was at the desk and the band seem capable of bridging the gap between introspection and the larger stadium style rock that could have made their fortune. Ever-principled however they still stuck to an intimate pop template, had fun with the literary allusions and didn’t flinch from the prevailing references to social decadence that characterized the 80s, a decade of greed, boom and bust for sure. Lloyd moved to New York to gather his thoughts for the next phase of his career. In 1990 he released his self-titled disc, returned to Hardiman and also worked with Material musician Fred Maher. In starting over on Lloyd Cole he kept some of the Commotions thoughtful style but added a raw rock edge. Blair Cowan was still around for keyboards embellishment and new players were of the caliber of Matthew Sweet and Robert Quine, American musicians with extra edge who took the ball and ran with some Stonesy key changes and a pleasingly tongue-in-cheek attitude that keeps this disc relevant. Meanwhile the main man was upping his game by using synthesizers, string and horn arrangements and harmonica. As Transatlantic music goes this is the bees knees. Don’t Get Weird on Me Babe is the overlooked gem: combining the New York style with a second side order of orchestral pop that nods towards Burt Bacharach and Scott Walker it is full of surprise. Bad Vibes (1993) is his darkest disc and his most self-revelatory, judging by “Too Much of a Good Thing” and “Can’t Get Arrested”. It could have, should have, done better but for the artist in exile he’d have to wait until folks caught up with him. Same goes for Love Story (1985) where Lloyd and production collaborator Stephen Street opted for a more acoustic sound that gave us the hit “Like Lovers Do”, a song as fine as anything else in his repertoire. The 1998 compilation called Collection reignited interest in Lloyd’s first batch of solo material and he has since made fine discs for Sanctuary and Tapete. We also have the two Live at the BBC sets, Volume I and Volume 2, covering the period 1984-1986. These reveal Lloyd in his natural element, front of stage with a receptive crowd. So to Collected Recordings, a labour of love that’s been a long time coming. As Lloyd says "We began work on this in February 2014. It’s been a lot of work. There were two product managers. Joe Howard (son of Dr Robert Howard) initiated the project and then moved on. Lewis Robinson took his place. Lewis and I have exchanged hundreds of emails as we tracked down the original tapes, cassettes, u-matics, and Ian Jones at Abbey Road has done a fabulous job in transferring them to CD. Hey, it’s Lloyd and the Commotions, you are duty bound to turn it up. We’re not reviving him or them because they haven’t exactly been away but we are certain that you will love the new discovery. 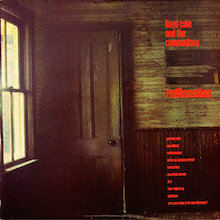 One of the finest debuts of the '80s, and possibly the defining album of the whole U.K. indie jangle scene that also included Prefab Sprout, Aztec Camera, and dozens of other bands, Lloyd Cole and the Commotions' Rattlesnakes is a college rock masterpiece of smart, ironic lyrics and sympathetic folk-rock-based melodies. The Glasgow-based band (Lloyd Cole on guitar and vocals, Neil Clark on lead guitar, Blair Cowan on keyboards, Lawrence Donegan on bass, and Stephen Irvine on drums) has a level of interplay remarkable in a group that had been playing for less than two years, and for all the attention given to Cole's hyper-literate lyrics, the album's finest moments are things like the slinky interludes between the wry verses on the Renata Adler-inspired "Speedboat" and Clark's glorious extended solo at the end of the album's finest song, "Forest Fire." Originally released in the U.S. by Geffen but reissued on CD as part of Capitol's acquisition of the Commotions in 1988 (with the original cover, which had been changed for the Geffen release), Rattlesnakes consists of ten perfect, or close to it, pop songs in just a hair under 36 minutes. Kicking off with the group's first U.K. single, the impossibly wordy, stream-of-consciousness "Perfect Skin," the album is basically a series of verbal snapshots of love gone wrong among the overeducated and underemployed. Cole's low-pitched and surprisingly soulful -- for a philosophy student from the University of Glasgow, anyway -- voice flits between earnestness, compassion, and arch derision ("Must you tell me all your secrets when it's hard enough to love you knowing nothing? "), while his lyrics sketch incisive character studies filled with smart and funny one-liners, near-obsessive name-dropping, and references to enough novels and movies for a semester-long pop culture class. The title track, for example, is based on a key image from Joan Didion's stark Hollywood novel Play It as It Lays, and its chorus compares the song's heroine to Eva Marie Saint's character in the film On the Waterfront. In less skilled hands, this would all be unbearably pretentious, but Cole's sly sense of humor and self-mocking wit keep things on the right side of ambitious. The German CD of Rattlesnakes (Polydor 823 683) will be of interest to North American Commotions fans. The disc not only contains the original versions of three songs Geffen had Ric Ocasek remix for the U.S. release (which are also on the Capitol reissue); it also features a unique version of "Forest Fire" with the guitar solo coda extended by nearly 40 seconds and four B-sides from British singles of the period: "Sweetness," the wry Warhol superstars portrait "Andy's Babies," "The Sea and the Sand," and the phenomenal "You Will Never Be No Good." In any incarnation, Rattlesnakes is a classic. 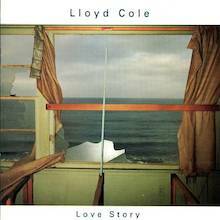 It stands to reason that a Lloyd Cole album called Love Story would not have a happy beginning or middle, much less ending. Actually, though, it does start out happy, "Trigger Happy," that is, and later on, Cole is "Happy for You," in which he sings, "If you love him, you should leave me." In between, things get no sunnier, as Cole and his characters drink and despair, but carry on. That determination is very much part of Cole's negative world-view: "Everybody knows this is nowhere," he says, to coin a phrase, "but you've gotta be there." (Except, one supposes, for Lucy, who jumps from the 39th floor in the rollicking "Let's Get Lost.") Typically, Cole couches these sentiments in melodic folk-rock, such that, with the volume low and just following the attractive lilt of his voice, a listener might find this a far more soothing piece of music than it turns out to be on closer examination. 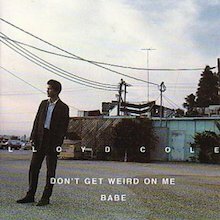 Lloyd Cole's second solo album, 1991's Don't Get Weird on Me, Babe, was about a half-decade ahead of its time. If it had come out in 1996, after Richard Davies' Cardinal project, the High Llamas' Gideon Gaye, and the new belief in indie circles that Pet Sounds and Burt Bacharach were musical icons worthy of veneration, this would have slotted right in. In the year bracketed by My Bloody Valentine's Loveless and Nirvana's Nevermind, Don't Get Weird on Me, Babe (title courtesy of Raymond Carver) was considered a self-indulgent oddity. In retrospect, however, it's clearly one of Lloyd Cole's finest works. The album is divided into two distinct parts. One (the first half in the U.S., the second half everywhere else) is more of Cole's trademark literate, jangly guitar pop, featuring the sterling "Tell Your Sister" and the uncharacteristically rocking "She's a Girl and I'm a Man," the closest Cole ever came to an American hit single. This side features a core band of Fred Maher (who co-produced) on drums, Matthew Sweet on bass, and Robert Quine on guitar. That trio also appears on the other half of the album, but that set of six songs is dominated by a full orchestra arranged and conducted by Paul Buckmaster. Buckmaster's dramatic orchestrations add an entirely new dimension to the darker-edged songs without drowning them in Mantovani-style glop. In fact, the arrangements are rather low-key, especially on the haunting, hushed "Margo's Waltz," a gorgeous song with a jazzy bass part by Leland Sklar, subtle vibes, breathy female backing vocals, and almost subliminal brushed drums. Strongly reminiscent of Bacharach's most restrained '60s work -- especially during ex-Commotion Blair Cowan's lovely Hammond B3 solos -- "Margo's Waltz" is among the three or four best songs Cole has ever written. However, it's only one of many highlights on this exceptional, underrated album. 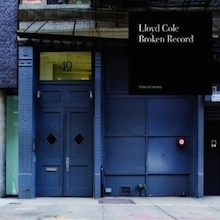 If Lloyd Cole was less worried about depressing his listeners on his third album, he also seemed determined to stir them up, adopting various personas in his songs, from the lover who tattoos himself with the name Jennifer only to find that the ink lasts longer than the relationship in "Jennifer She Said" (a U.K. Top 40 hit) to Sean Penn. There were a few song narrators who seemed close to the singer himself, and they sounded just as discontented. There was little to alleviate the vitriol in the music, which was unusually muted, and long before the end Cole had begun to sound like a crank. The album's saving grace was "Hey Rusty," a song with a Springsteen-like theme and a U2-like musical track. If there were more songs this coherent, specific, and moving, Mainstream might have ranked with Cole's first two albums. Volume 1 of The Commotions offerings basically covers the sessions recorded between the group’s first two albums (Rattlesnakes and Easy Pieces), with an inevitable slant towards songs from the former. Volume 2 brings together a paltry six tracks from studio sessions on one disc, plus their 1986 Glastonbury set on a second disc. 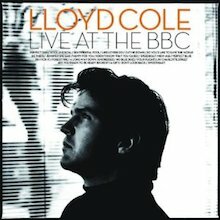 The solo Cole release, again a double-disc set, dates from the 90s and includes two broadcasts from the In Concert series, augmented by a quartet of acoustic performances recorded for Nicky Campbell’s show. There’s little difference between much of the material and the commercially available releases, Lloyd opting to recreate the originals as faithfully as possible. The spirited charge through Elvis Presley’s Mystery Train on Volume 2 is one of the few surprises, and a total of six versions of Perfect Skin across the whole bunch might be overcooking things for even the most ardent fan. Bad Vibes, Lloyd Cole's sixth new studio album, marks a big change in terms of sound. Producer Adam Peters and mixer Bob Clearmountain have tried to re-create the experimental days of the mid-'60s, employing a wide variety of studio gimmicks. 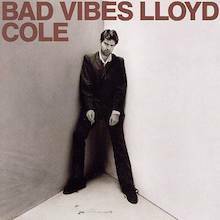 But if Bad Vibes is Lloyd Cole's most produced record, it also is his earthiest. The singer's voice is recorded (sometimes with echo or double-tracking) especially high in the mix, and his singing is as stylized as it was on his first two albums, though in a different way. Here, he affects a sardonic, disengaged tone. All of this makes Bad Vibes Cole's most varied and most ambitious album, but far from his best. The odd sound stage and attitude are anything but accessible, and Cole himself has rarely been as vitriolic. [The U.S. Rykodisc version contains two bonus tracks, "For the Pleasure of Your Company" and "4 M.B.," not contained on the Fantana version. Songwriter Lloyd Cole has had his share of ups and downs. After releasing the bona fide classic Rattlesnakes and the truly fine Easy Pieces in the 1980s with his band the Commotions, Cole jumped from Universal to Capitol, where he cut his self-titled solo album and the critically acclaimed Don't Get Weird on Me Babe. Neither sold. He moved to Rykodisc for two albums before slipping out of sight in 1995 for the decade's remainder. He returned in the new century and released independent albums every couple of years, but they went mostly unnoticed. Cole quietly disappeared again after 2006's Anti-Depressant. In 2009, he emerged again and appealed to his small but dedicated fan base for help in financing a new album. Broken Record, released in Europe in late 2010 and in the U.S. in the middle of 2011 is the result. The gamble paid off in spades creatively. Recorded in Manhattan with Commotions' keyboardist Blair Cowan, session drummer Fred Maher, guitarists Mark Schwaber and Matt Cullen, among others, Broken Record is small in scope, but full of crafty hooks, wry, self deprecating humor, and genuine irony. Cole's lyric panache is enhanced by this solid meld of classic singer/songwriter-ish pop, country-tinged acoustic rock, and crystalline production. The album's first single, "Writer's Retreat!," is a jangling rocker with mandolins, harmonica, 12-string guitars, popping snares, the biting, opening line: "When you get back from the writer's retreat/I won't be there waiting", and the killer refrain: "You can get a beat from a broken heart/You can write the book fallin’ apart/You can have it all but the one you want/Just going for a song.” "That's Alright" is another scintillating pop/rock number that deals with the end of a relationship in a more biting manner, but the wordsmithing is so top-notch it doesn't sound like sour grapes. "Westchester County Jail" could have come right out of the Commotions' catalog. Banjo, piano, and pedal steel and drums adorn the title track, a Brit country-ish (à la Brinsley Schwarz) waltz with the opening confession: "Not that I had much dignity anyway..." Despite its sometimes straight-razored lyrics, musically Broken Record is the most consistent upbeat record Cole's released in a dog's age. Whether he's dishing it out or taking it on the chin here, he never takes himself too seriously. Cole's writing and recording confidence on Broken Record is abundant; it sounds like what it is: a fresh start.